I wrote a blog post about the Sassoon Salon’s Spring/Summer 2012 hair collection for the Boston.com blog, Stylephile on May 9, 2012. I also took the photos to accompany the post. 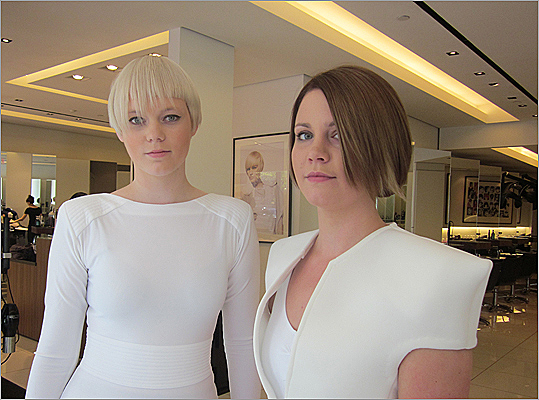 Sassoon models show off styles from the Athletica Collection. Bronze, silver, and gold tones, round shapes, and natural movement are some of the features of the new Olympic-inspired Sassoon Salon Spring/Summer collection: Athletica.